For business owners in Northern California including San Ramon, Danville, Pleasanton, Walnut Creek, Fremont, San Jose Dublin, East Bay, Contra Costa County, and Alameda County or anywhere in the San Francisco Bay Area and Silicon Valley, email marketing may seem to be secondary to others forms of marketing like SEO, landing pages, web copywriting, and social media marketing. At Bay Area Online Marketing, we specialize in not only educating clients on how powerful email marketing is, but also getting hundreds if not thousands of new potential leads. Call 1-925-736-5808 and we will offer effective email marketing services to grow your Bay Area business. You need a good web design, powerful landing pages, and strong web copy so your leads will turn into conversions. But first, you need to generate qualified leads! Landing pages from Bay Area Online Marketing are one perfect way to find new leads via search engines, but email marketing works in tandem with landing pages. After all, once your client visits your site, they may forget about your company. Not if you capture their emails! A good lead is gone to waste if it is not nurtured and encouraged into conversion. 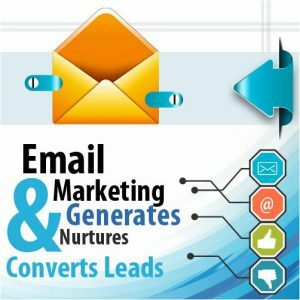 And email marketing does more than build leads; it also generates new leads for clients who might not even be searching for your product or services. Get in touch today! Let us explain the advantages of email marketing for your niche business in the Bay Area. Sell to a higher ratio of customers, not just once, but repeatedly! If you’ve ever bought something online, you’ve likely received emails from the company you bought from. They might tell you of brand new products or services, specials ongoing for a limited time, and ask for your business again. That’s exactly what email marketing can do for you too. It’s good to have Search Engine Optimization (SEO), Pay-Per-Click (PPC) Advertising, Social Media Marketing, Landing Pages and Web Copywriting, but email marketing complements each of these Internet marketing methods and helps them deliver better results overall. Email marketing is not easy, but the experts at Bay Area Online Marketing help you create, develop, and convert leads into sales. Hire the best in integrating your business goals with email marketing. Call us now at 1-925-736–5808 and kick-start your Bay Area email marketing campaign. No news is not good news anymore! Stay in touch with prospects and customers via email marketing. Create top of mind recall over competition. Contact us today to maximize your Bay Area email marketing efforts. With email marketing and SEO services from Bay Area Online Marketing, you can create countless new leads for your business!